If you can't be on the water this weekend due to poor weather or poor planning, why not attend a boat show? There are a few boat shows across the US - at least here in the east. Despite confusing reports of other dates, we just called and confirmed with the St. Pete Times that the Tampa Bay Boat Show is being held THIS Friday, Saturday and Sunday at the Florida State Fairgrounds in Tampa. Admission is free, but parking is $5, and if you go on Saturday or Sunday you'll also see the Florida Fishing School where local fishing captains will share their expertise in a variety of fish-y topics. Of course, this weekend's event is not to be confused with the Tampa Boat Show, which will be held in September at the Tampa Convention Center. 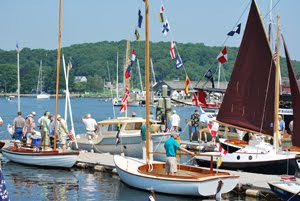 Other boat shows around the world this weekend are antique or wooden boat shows. There's a big one at Mystic Seaport in CT, Friday through Sunday. The location is great because you can see the Seaport's usual collection of historic ships as well as the classic boats on display for the event, which usually draws quite a crowd. There's another long-running wooden boat show in Akron, Ohio. The 35th Annual Portage Lakes Antique Boat Show is Saturday only and sounds like it will be fun, as it is being held in front of two restaurants - the Olde Harbor Inn and Hook, Line & Drinkers. 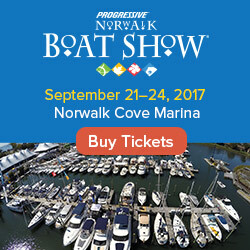 For more info about all of this weekend's boating events or to find a boat show near you, visit our boat show calendar. Let us know what your plans are for the weekend or if we missed any big shows! The ongoing catastrophe in the Gulf barely needs to be mentioned, as coastal boaters only seem to be leaving port these days if they're helping clean up the endless flow of oil. But that's not the only body of water in the country hampered with boating restrictions. Lake Campbell in South Dakota is closed to boaters due to flooding that has resulted in dangerously high water levels. Kaibab Lake, which was closed to boating due to the Eagle Rock Fire in Williams, Arizona, is now reopened. Apparently helicopters were using the lake to get water to help put out the fire. But check the Forest Service website before venturing out there, as the fire was not fully contained as of this writing. 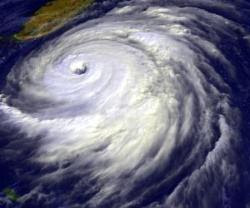 Flooding forces Big Lake in Holt County, Missouri to close to recreational boating, and that may be the case for a good part of the summer (read more). In Idaho, well, let's just say you should pay attention to this one. It's confusing for those of us who don't live near active dams. Avista, a utility company, had to alert boat owners as it opened Post Falls Dam when waters on Lake Coeur d'Alene were on the rise high due to heavy rainfall. This sent skippers along the Spokane River scrambling to move their boats to deeper water, as water drained out of the river through the open dam. Okay, that wasn't so bad, but for a better explanation check out the full story from Jeff Humphrey at KXLY. In Ohio, it's potentially-toxic blue-green algae that's keeping boaters and swimmers out of the water at Grand Lake St. Marys. Check for an update from state regulators about the danger level there before venturing into that lake, located between Toledo and Dayton. 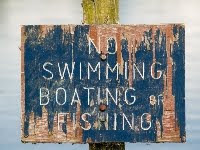 Let us know if anything is keeping you from boating that other boaters need to be aware of. With the first day of summer officially here, and the warm weather upon us, it's no surprise the action on the water over the weekend was busier than usual. In the Great South Bay in Amityville off Long Island, NY, a 17-foot Boston Whaler crashed with an 18-foot Larson Bow Rider, capsizing the Whaler and spilling several passengers. Both captains were charged with boating while intoxicated. Up north in Canada, nine people had to be rescued near Valdes Island (BC) after the 21 foot boat they were on apparently struck something in the water and sank. A father’s day outing on Thomas Creek (Jacksonville, FL) turned tragic on Sunday when a boat carrying a family of three was struck by lightning. There were several reports over the weekend of boaters gone missing after crashes, capsizes, or after a boater simply “went into the water”, reminding us it’s never a bad time to wear a life jacket while on a boat. 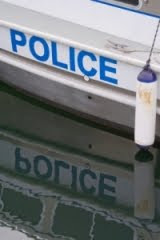 Louisiana: Boater missing in Lake Pontchartrain after boat crashes into landing. New York: Boater missing in Chautauqua Lake after jumping from boat. Maine: Boater missing in Big Lake after going into the water. Nebraska: Boater missing in Wagon Train Lake after going into the water. Manitoba: Boater missing in the Valley River after boat capsizes. While at a recent boat show we came across the best place in the world to send your kids to camp this summer... On the water! 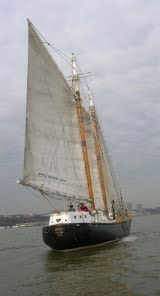 Spending a couple of weeks on a 125 ft schooner cruising the waters of New England instead of being land locked at the usual craft, tennis, band and soccer camps sounds refreshing in today's cookie cutter world. 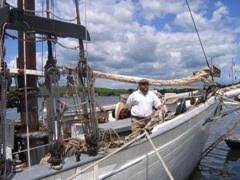 The mission of the Ocean Classroom Foundation states that they are "committed to sending students and their teachers to sea, on voyages in which the traditions, values and adventure of maritime life provide a unique context for education." The crew we spoke with at the boat show (pictured) told us that students leave their electronics on shore, and work their tails off on their ship in a very safe and supervised environment. The kids learn an appreciation for the ocean, teamwork and a working knowledge of seamanship that could never be attained in the soccer fields because all students participate fully in the life and operation of the ship. Many students get so much out of their experience they come back and work on the ships as crew while in college. 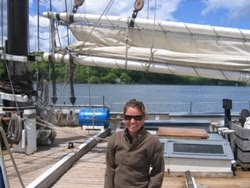 The Ocean Classroom is offering Seafaring Camp for teens 13 – 16, and an advanced Seafaring Camp for older teens (15 – 18), in July and August this summer. For more information about these programs, as well as the organization's Semester at Sea, visit the Ocean Classroom Foundation website. This Saturday is National Marina Day, and marinas all over the US are having events with contests, complimentary cruises, children's activities, green boating seminars and more. 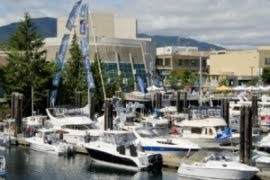 Search for marinas that are registered to have an event on National Marina Day here. If you don’t see your favorite marina mentioned, contact them anyway - there still may be an event to celebrate National Marina Day or National Fishing & Boating Week. One of the many marinas holding an event Saturday is Grand Harbor Marina (a Certified Clean Marina), located on the border of Mississippi, Alabama and Tennessee. Grand Harbor is going to have green boating tips and solutions on display, raffles for eco-friendly products, and all-around fun on the water. 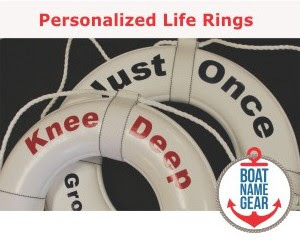 Among their raffle prizes you will find welcome mats for boats made of 100% recycled material from our friends at BoatNameGear. There are also 10 marinas across the country participating in a program called Boat. Fish. Live. At National Marina Day where you can see boating and fishing demonstrations, test drive boats and even win a trip for four to Disney World in Orlando. Grande Dunes Resort & Marina – Myrtle Beach, S.C.
New Rochelle Municipal Marina – New Rochelle, N.Y.
We mentioned Monday that in celebration of National Fishing & Boating Week (which continues through this Sunday the 13th), there are several states offering free fishing days this weekend where you can fish without getting a license. If you like sailboat racing, this is your weekend. There are regattas in Newport, RI and Toledo, Ohio, as well as in South Korea, Denmark and Sardinia. 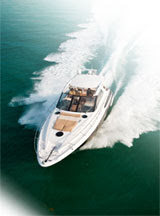 South Korea is also holding a boat show, as is Miami (not the Miami Boat Show, but still a show worth checking out). For our local friends, be sure to check out an all new one-day boating event in New London next Saturday the 19th. The Long Island Sound Boaters Expo is the perfect place to bring dad on his special weekend, but the event is only Saturday the 19th from Noon to 6 p.m. (More info.) 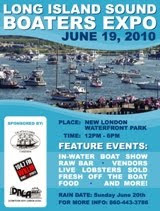 Visit vendors like BoatNameGear at this event for last minute Father's Day gifts with a nautical theme. 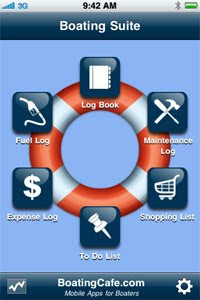 If you need more info about any of this weekend's festivities, visit our boating event calendar. The top boating states were announced this morning by the National Marine Manufacturers Association (NMMA). The NMMA's press release ranks states by how much money was spent on "new powerboats, motors, trailers and accessories in 2009." Without further adieu, here is the list and amount spent in each state, along with our first impressions. 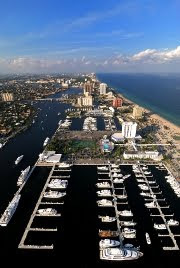 Not surprising to see Florida at the top given its combination of profuse coastline, warm weather, and an abundance of mega yachts in Miami and Fort Lauderdale (pictured). Everything is bigger in Texas, so why wouldn't they be near the top of a list like this? From San Francisco to San Diego, when you think of all the great seaside cities in this state, it's no surprise California is in the top three. NC is the home of Hatteras Yachts, Fountain Powerboats, Tiara Yachts, Albemarle Boats and many other boat manufacturers, as well as the beautiful Outer Banks. If you're a boater, there's a lot to love about NY: Long Island Sound, the Hudson, Lake Ontario and the Finger Lakes, to name a few. Sadly, 2010 will probably see a dramatic decrease in spending on boats in this gulf state. Will Louisiana be on this list next year? If so, probably much lower. Its position on the Pacific Ocean and the harbors of Puget Sound make the state of Washington a wonderful boating destination, even though it is so far north. Surprised to see such a small state on this list, but Delaware is densely populated and offers easy access to the Delaware River, Delaware Bay, Chesapeake Bay and the Atlantic Ocean. No other state borders as many of the Great Lakes as Michigan. The state also boasts 11,000 inland lakes and rivers, making it a boater's paradise – at least during the summer. The "Land of 10,000 Lakes" is number one in boats per capita in the US with about one boat for every six people in the state despite its short boating season. Are you surprised your state did or didn't make the list? Speaking of top boating states, our new local boating section is launching soon with information about boating destinations in every state. It's still under construction, but our readers can get a sneak peak here. Our Sea Song of the Week is for all the pirates out there turning 40. This week's choice was actually selected a long time ago, but it took a while to decide between the Jimmy Buffett version or a cover by Jack Johnson. We decided to stick with the artist that first released this ballad a year before Jack Johnson was even born. Jack fans needn't despair, as his new album is nautically themed and will likely give us a sea song or two in the near future. Learn a little more about this song, including the name of the bartender/pirate it was written about, at Wikipedia. And if you want to see Jimmy perform this summer, visit Margaritaville.com and view his concert schedule which starts later this month in Massachusetts. It's a new month, so click here to see all the Sea Songs of the Week we chose in May. Hope this helps get your weekend on the water off to a great start!